Designers Chang Min-Chien, Shih Te-Chung, and Chuang Tsai-Feng understand the perils of fighting a blazing fire and have come up with a fantastic fire-fighting concept that could very well save lives. 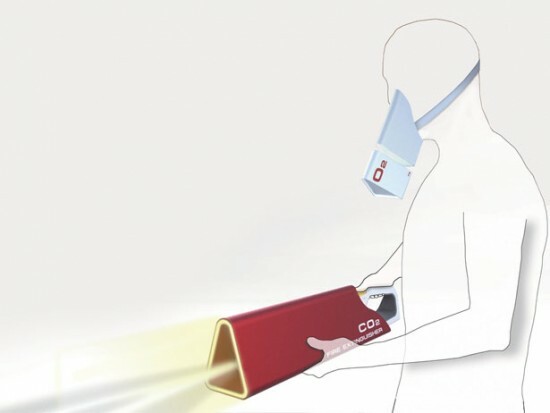 The O2 and CO2 Fire Extinguisher Concept makes killing fires safer and includes the CO2 – a fire extinguisher, and the O2, an oxygen mask. Today, the primary cause of death of victims subjected to a fire is smoke inhalation and suffocation. The O2 oxygen mask makes sure you breathe in quality air while fighting a fire. 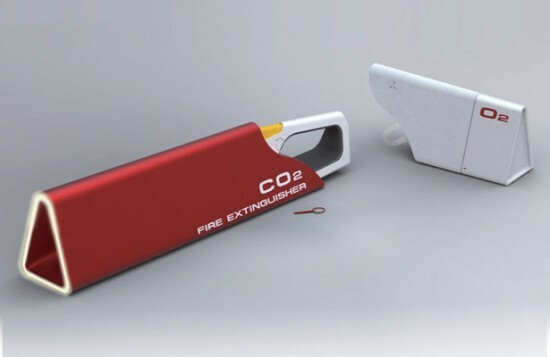 The CO2 fire extinguisher works just like a traditional one and is portable and easy to use.